Author: The Physics of Money: If You’ve Got My Dollar, I Don’t! If you’re an African American, you’ve heard it: Pull yourself up by your bootstraps! 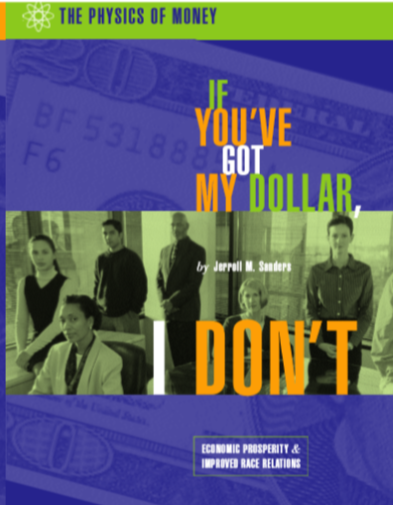 For many African Americans, elevating themselves has seemed impossible, since they have neither boots nor straps.The Physics of Money: If You’ve Got My Dollar, I Don’t reads like a well-crafted guidebook. It helps African Americans manufacture both the boots and the straps needed to completely alter their financial position.